Summary: Considering the role of the Holy Spirit as an enabler in the life of the believer today (Part 1). In the previous study, we began looking at the roles of the Holy Spirit today in a general sense, focussing on that title which is given as “The Paraclete” – from the Greek parakletos, a word that is translated in different ways by English translations of the Bible and has a broad range of meanings – Comforter, Guide, Helper, Advocate, Counsellor, Intercessor, Strengthener, (one suggestion after last week’s study – a mentor). Generally, we are speaking about the Holy Spirit dwelling with us, and assisting us in these ways. That was parakletos, the Paraclete. We saw how a related word in the Greek text is parakaleo – a verb, meaning to plead, beseech, encourage, and occasionally rebuke. In the NT, that idea of encouragement is also commonly linked with instruction and understanding – in other words, an understanding that is in accordance with the teaching of the Scriptures. We finished off referring to the example of Joshua, who was more or less simply told by God to “meditate on My Word”, an exhortation that is appropriate for us, too. In this study we’re going to begin looking more specifically at just one of those roles. We’ve looked at how, through the various dispensations, the Holy Spirit's three main roles were as an enabler, a revealer of truth, and a guide. It's my contention that these three roles are still the Spirit's main activities today. We'll look at each of these three aspects as they pertain to the Spirit's work today, starting tonight with the enabling work of the Spirit today. This sort of miraculous display of God’s power was related to the nation of Israel. There are no such miracles like this recorded before Genesis 40 in the life of Joseph, at a time when the children of Jacob (also known as Israel) is turning from being a family into a nation. From that time we read of miraculous workings of God’s Holy Spirit, right up until the end of Acts. Such deeds were signs that God was with that particular people. However, When Israel were set aside as God’s special nation at the end of the Acts Period, so were the miracles and overt visible workings of God's Holy Spirit. And these are the conditions we live under today. Let’s read about some of what happens today. Note the word dunamis which will come up in a number of our readings in this study … and its relation to “strength”. We have been given a power, or perhaps "ability" is a better word, that we are given, and it is related to the same power or ability which raised Christ from the dead. I’d like us to look very briefly at a couple of other passages which speak of the Holy Spirit’s power in us today, in order to simply become aware, for the time being, that this idea comes up a few times. We’ll come back and take a closer look at some of them in more detail in future studies. READ Ephesians 3:14-21 all the way through, THEN look at individual phrases. Not an easy passage - I’m aware that I certainly haven’t plumbed the depths of what is being spoken about here. But we have to start somewhere. Firstly, let’s note that this a prayer. A request. It seems that this aspect of what we are about to read of the Holy Spirit’s activity today is not automatically going to take place within each one of us. I think we have to want these things, too. Let’s read it, and then see what you think. Compare this with the "manifestation of the spirit" during the Acts Period, as it appears in 1 Corinthians 12 – phanerosis - outwardly visible signs of the spirit's workings; especially v.10 working of miracles – same word: dunamis; ie, supernatural abilities, beyond what is humanly capable – but openly visible in this instance. Also Galatians 3:5 "works miracles (dunamis) among you" (what is written in this Acts Period epistle is consistent with the conditions of the Acts Period). cp also Samson (REF Judges 14 & 15), who was strengthened with might in the outer man. What is the purpose of this dunamis now, during this time, as written in Ephesians 3? ... as visible signs that will build up the church (as it was in the Acts Period, as spoken of in 1 Cor 12)? … to convince unbelieving Israelites to turn to Christ (as it was in the Acts Period, as spoken of in 1 Cor 14)? No. It has a more individual character about it, and a more inward nature about it. This is more about an effect the Spirit’s work has on each one of us in our own lives; an effect that takes place within us. – in the inner being/ inner man. Not an outward display of God’s power. We’ll find that the Spirit’s work in us is partly in order to help us in our relationships with others. We’ll discuss the fruit of the Spirit in another study, but it’s related to our current topic. v.17 The goal of this strengthening: "That Christ may dwell in your hearts by faith". v.18 - that we may know the great extent of Christ’s love, how all-encompassing in every area. In a sense, one goal of the Holy Spirit strengthening us is that we might be consumed with the sort of love for others that Christ had. The question is sometimes asked, "what would Jesus do?" Take care - there are dispensational issues here, and things He did that we could never do, but His love is something that crosses over dispensational boundaries. 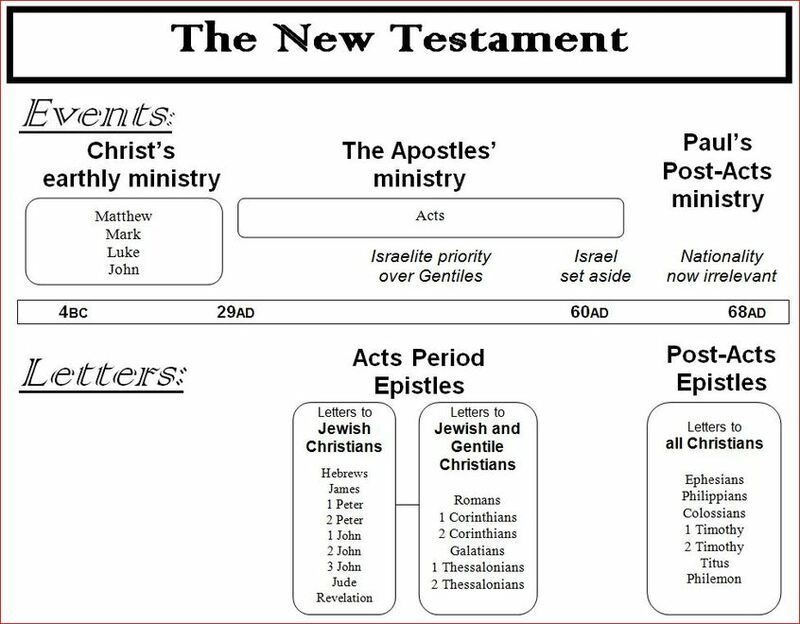 - these ideas permeate the Law … indeed, the entire Old Testament, the Gospels, the Acts Period, and the post Acts epistles. So many passages speak of what God has done, and how we should behave towards others. Certainly almost every instruction in the Bible about how people should live, whether it was in the observance of the various laws, or whether it’s being kind and patient to each other, is wrapped up in these two commands. (2) READ - John 15:13 Greater love has no one than this, than to lay down one’s life for his friends. … and He has done that for us. What an example to follow. We may not be called to lay down our life for a friend, but are we prepared to sacrifice a part of our busy day, or income, or whatever it might be, in order to help another person … and not seek any sort of personal reward for that? More about the enabling work of the Holy Spirit in our lives in the next study.